You must be bored of your old PowerPC-based Mac and want to upgrade to a brand new MacBook or an Intel-based PC. However, it is quite hard to decide what to do with the older machine. In fact, you might get hundreds of reasons to purchase a new Mac, but not even one to get rid of your older Mac machine. Why not just keep your old Mac as the backup machine. Not even this, you may also use your old Mac machine to store your collection of movies and other stuff that are not currently in use. Alternatively, you may wipe Mac drive and sell it to somebody looking for a used Mac. You can find somebody looking of a Mac just like you on online sell/buy stores. Or else, you may do an ad in the newspaper. 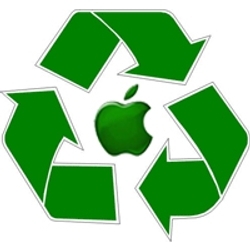 Anyway, what you want to do with your older Mac is all depends on you, but you must know about the ‘Reuse and Recycling Program’ organized and operated by Apple Inc. where you can recycle all your old gadgets with the brand name Apple. The ‘Reuse and Recycling Program’ invites your old iPad, iPhone, Mac computers and in exchange provides you the Apple Store Gift Cards, in case the device successfully qualifies the test for being reused. The company will decide the value of your Apple device based on the tests performed, and then will provide you the Gift Cards of equal value, which you can redeem at any Apple Retail and Apple Online Store. In contrast, if your device fails to qualify the test performed before recycling, Apple will recycle it without returning anything to you. The device qualifying in the recycle program can only be iPhone, iPad, Mac or PC desktop, notebook computers. Any other device or gadget does not qualify the Recycling program. Apple collaborates with PowerON for prepaid packaging and shipping of your gadget or device to them as per their convenience. Once your device qualifies the pre-recycling test, Apple will send you an Apple Store Gift Card of value equal to the fair market value of your device, which you can redeem at any Apple Retail Store or Apple Online Store. Well, if you pre-assume that your device is not going to qualify the pre-recycling test at Apple, you can opt for one of the options mentioned below. Selling your Old Mac to somebody in exchange of a good fare is a very nice option for you, in case you need some money to buy a new Mac or some other need is there. In fact, you can make a handsome profit by selling your old Mac by publishing an advertisement in the newspaper or in online buy/sell galleries. Some online buy/sell galleries are quite popular and attract huge traffic looking for used products. Create an ad for such a gallery and get ready to earn a big amount of money with something you call a waste. Alternatively, you can directly go to your nearby computer market and ask for selling it for you. Share the required information of your Mac with the seller and finalize a selling price. You can ask from multiple sellers even, and then you can sell it to someone paying you more than what others are offering. However, you must wipe the hard drive of your Mac before you hand over it to the buyer. Since hard drive is the key component storing massive amount of data on computer, you must wipe Mac drive clean before you hand it over to the buyer. For this, you move all your data either to the newer Mac machine or to an external drive. You can do it manually or even with a commercial backup tool. Simply use a backup tool that features incremental backup of the entire hard drive or of its selected volumes. With all this, you need to erase your footsteps from the Mac system. In other words, leave no clue that makes the buyer remind of you or enables him access anything that he must not. Start with the iTunes by de-authorizing it, as you certainly do not want to realize that you could play your old favorite music on. Likewise, make sure you uninstall and de-authorize all the programs that you will install on the newer machine. Donating things that you no longer need to somebody who you think needs them more than you, do certainly is a noble deed. In fact, such noble acts undoubtedly make you feel good from the core of your heart. Therefore, how about donating your Old Mac to somebody in need? Since you have already decided to move to a newer Mac that you most likely have purchased already, you can easily go for this noble cause and fulfill somebody’s need for a computer. Well, you probably have already made up your mind for donating or selling your old Mac, but I suggest taking care of the data stored on it. As discussed earlier, back up all your data to an external hard drive or directly to the newer Mac machine. In this regard, you can use Time Machine as the Mac inbuilt data backup utility along with a separate hard drive. This enables you recycle the Mac data that you have been ‘read/write’ accessing on your old Mac. In case you are not comfortable with donating or even selling the old Mac to any particular, you can contact your nearby electronic recycler and ask him to purchase it from you. You can also contact the same retailer you bought it from and ask him for any recycling program. Alternatively, you can contact Apple and ask for their recycling program. In fact, Apple has such policy for its customers like if one buys computers, Cinema Display monitor or a like device, he can send it back to Apple later for recycling it. In exchange, Apple gives the customer Apple Store gift cards of equivalent value.